The first week of May has been phenomenal. There have been migrants everywhere. 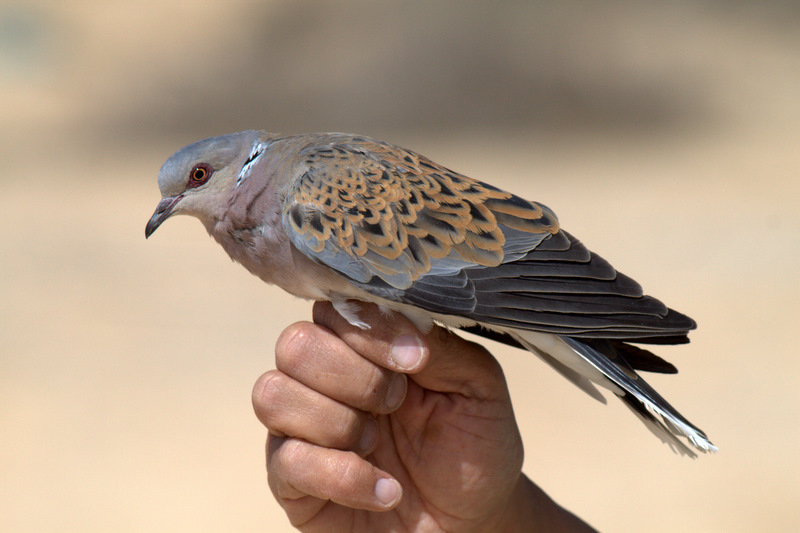 Since the 2nd of May i have ringed for 9 straight days and i'm looking forward to a long earned rest tomorrow. In this time we have ringed over 400 birds including 98 birds on Friday, we would have got the magical 100 but i managed to drop a blackcap and a babbler escaped the net. Luckily Eran had brought his new girlfriend Shira and we quickly put her too use scribing so we both could ring. 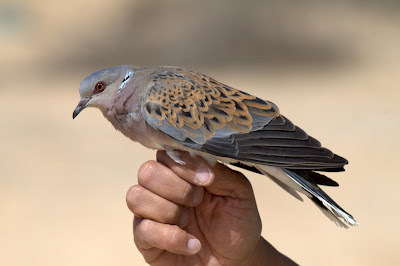 The highlights included a Foreign ringed Garden warbler (more to follow when i have the info), a turtle dove first ringed here in April 2008, 3 terrific adult barred warblers, a river warbler, and a couple of olive tree warblers. By this morning the rush had died down and i was back down to 27 birds, although i did manage a rather beautiful migrant, that bird that every time i see it it just fills me with wonderment at how a bird can be so magnificent, i caught the first bee eater of the spring, hopefully a couple more will follow as they are passing in great numbers at the moment.